In the moment we began to realize ‘La Última Calle’ (‘The Last Street’) there already existed three documentaries portraying the struggle against the urban development plan, popularly known as "the Elevators Plan", that threatened to displace from their homes without their consent a large number of Barceloneta residents. People started documenting and publiclizing all that was happening; the demonstrations, the anger and the political messages of the local community to municipal politicians that were already occuring or about to occur. We saw what was already covered, and we wanted to add other views, we wanted to show different aspects of those neighbours taking part in demonstrations against "the Elevators Plan". We fell in love with them and their surroundings; we fell in love both when they marched out with their placards and when they opened their front doors to get a chair and sip a coffee in the fresh air on the street pavement. We saw that there was something beautiful in how they created and proposed activities from the street, in a way that was collective, fun, full of trust and friendship, but that also entailed effort. We believe that "being there and in that way" was in itself a form of resistance to the new model of urbanism being imposed on Barcelona. 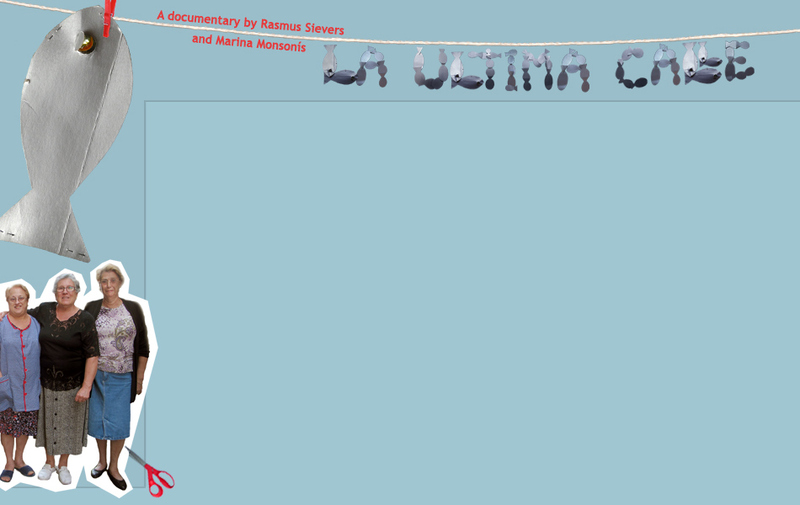 So we decided to choose the neighbourhood Festival of the Calle Pescadors (Fisherfolk Street) as the narrative backbone of our film, because during the preparation and celebration of this festival we saw a way of creating and relating that was very special, protected largely by these women. We wanted to film something as intangible as the social fabric that holds the street together; its charismatic, inspiring and infectious people through which one can perceive a way of life that is extraordinarily tender and human. Walking around the neighbourhood we watched those changes, like the cement of the Hotel Vela that we imagined becoming of monstrous proportions. The Calle Pescadors showed us an image of very different type of construction to the cement of the Hotel Vela: that which cements the life of the street is not made of the same material. though unfortunately - and ignoring the coastal laws - the Hotel Vela is still in business and continues to be an image of construction diametrically opposed to that of Calle Pescadors. However, thanks to the struggle of the neighbours in combination with the economic crisis in Spain, the Elevators Plan has been frozen. In the middle of Calle Pescadors continues, as though it were its heart, the modest headquarters of Assossiación de vecinos de l`Òstia (the Neighbors Assocation of Barceloneta) and the Plataforma de Afectados de la Barceloneta (Platform of those Affected of Barceloneta). There the the residents gather in their assemblies, resolve conflicts, and continue organizing the neighbourhood festival that stars in our documentary. Since then two of the dear neighbours and activists who appear in the documentary have left us, Emilia and Marga, they and their neighbourliness and community activity remain an example. ...and the fight against the redevelopment of Port Vell (the Old Port), reforms that are already underway and being implemented without any consultation with neighbours nor any social impact study on the neighborhood. The redevelopment aims to convert the historic Old Port with its fishing pier into a privatized space exclusively for the elite of global billionaires. Our documentary is one more film yet different from the others that already exist, part of a collective history, made with love and empathy. It is one more little grain of sand from the beach over so much concrete.